A chrysanthemum-design ball that became difficult to break due to a new manufacturing method called double-rubber layers was born. 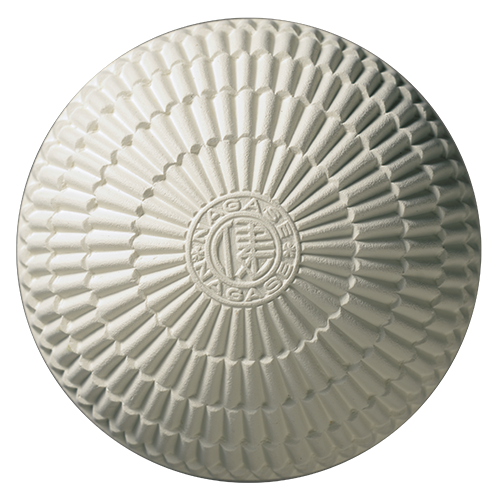 In 1946, the All Japan Rubber Baseball Federation was established, and the chrysanthemum-design ball was used as the official ball for its tournament. 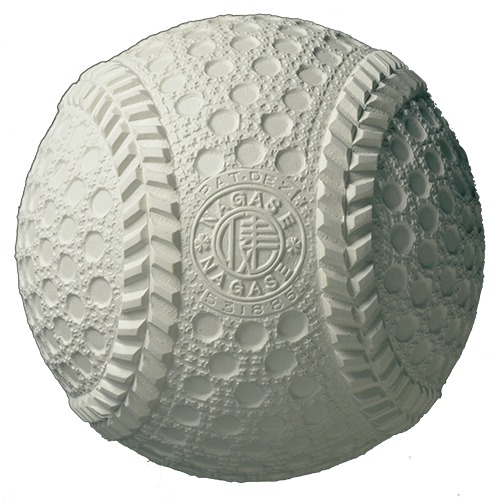 With the innovation of mold technology, it became possible to put seams into the ball and it became a baseball itself. 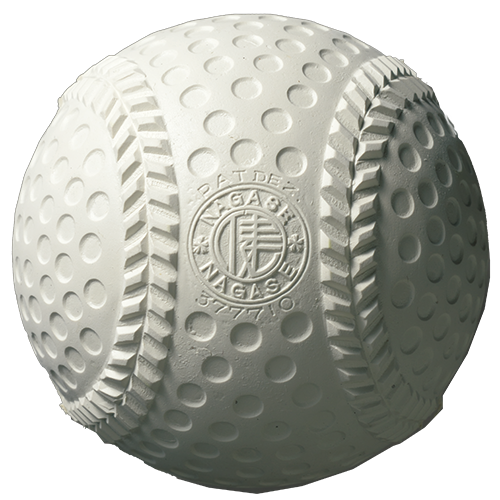 The round dimple design was created, that is, the dimple type of ball was born. The seams remain unchanged and a star-design was put into the round dimples that resulted in improving from slippery. The seams remain unchanged and LSBB logo was put into the round dimple. 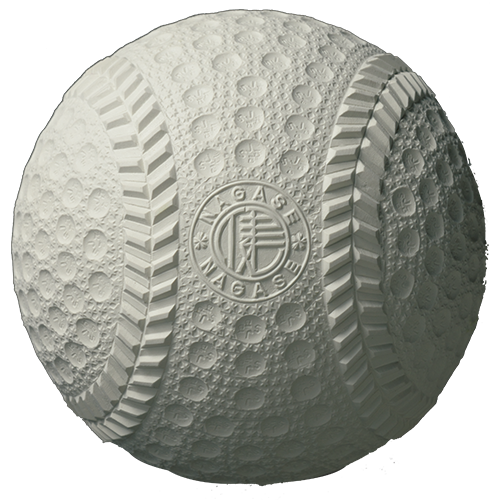 Along with the design change, the standards of the ball for Rubber Baseball was also revised. 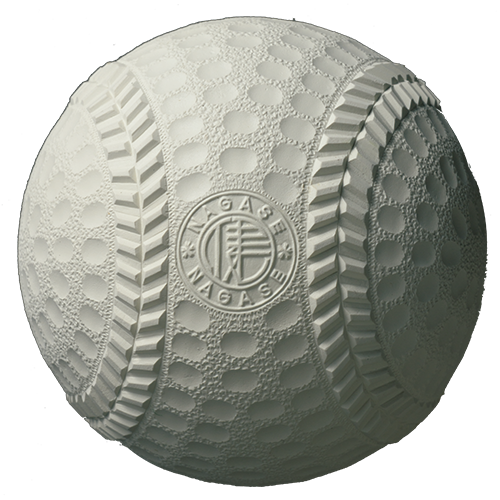 Thus, it became the same size as the ball for the leather baseball. The seams remains unchanged and the shape of the dimple was changed from a round-shape to an ellipse-shape with a quality of rubber change. Thus, the flying distance became remarkable longer. Sixth period: 2006 to the present. Changed from traditional elliptical dimple to triangle design with small circle. The shape of the seams was also changed from angulated shape to a little rounded shape. By this, the flying distance was increased and the logo marking was changed from "Ken”(meaning a good health) to "KENKO BALL".